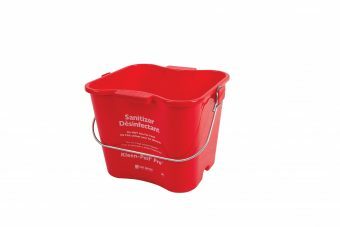 Kleen-Pail® Pro™ color-coded pails are 50% off until May 11th! 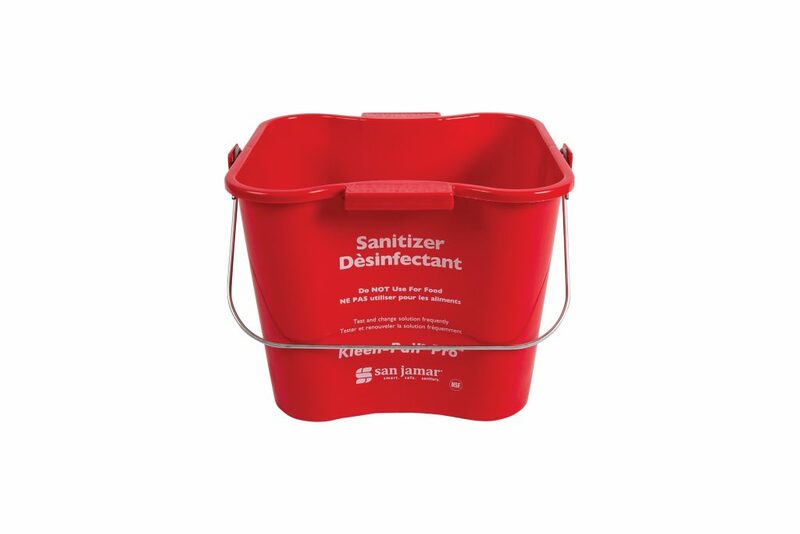 Kleen-Pail® Pro™ color-coded pails eliminate confusion between cleaning and sanitizing solution containers. 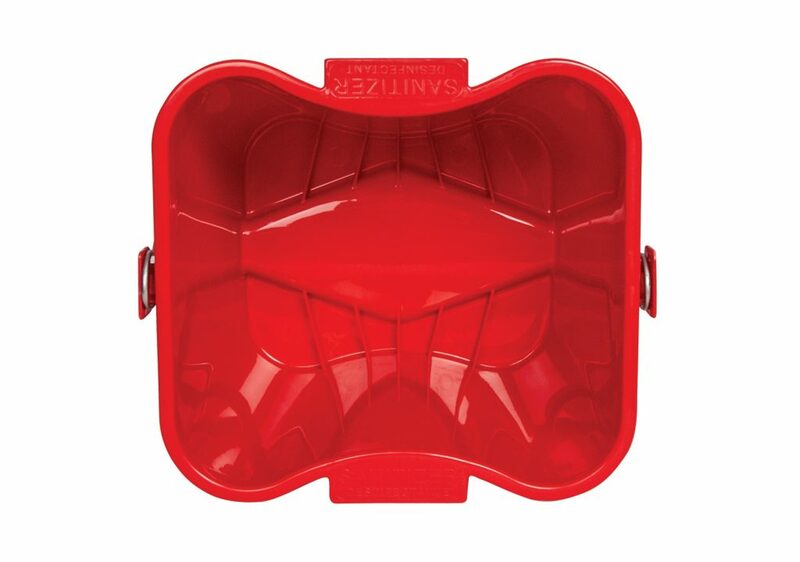 NSF approved, the pail is dishwasher safe, easy to clean, and fits into any HACCP plan. Kleen-Pail Pro’s patented, curved shape allows for easy pouring, with molded-in handles for more controlled carrying. 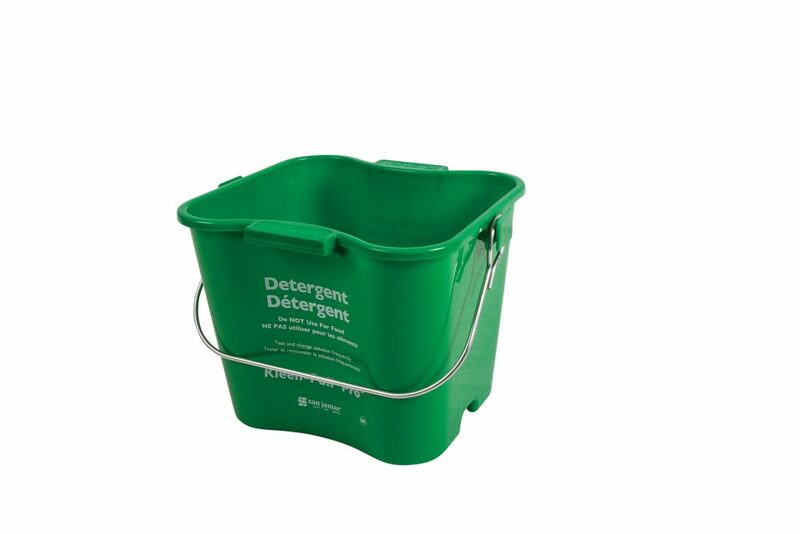 The embossed lettering ensures the pail complies with health code, and the trilingual design aids in employee training. Debris-catching ribs at the bottom of the pail catch excess dirt to keep it separated from the towel above. Available in 3, 6, and 8 qt. sizes for front-of-house and back-of-house applications. 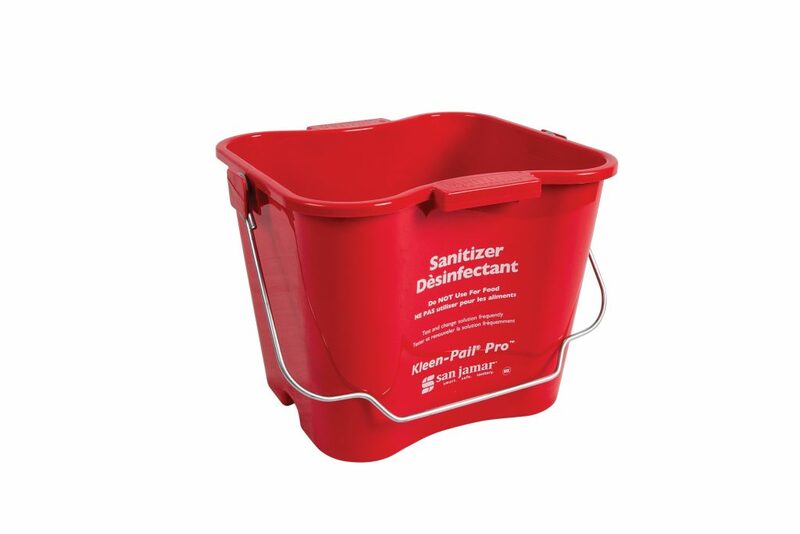 Kleen-Pail® Pro™ Stands Kleen-Pail®Pro™ Stands allow you to move pails off the floor or work surface, providing a sanitary storage solution for 3, 6, and 8 quart Kleen-Pail Pros. Available in stand and wall mount versions.